This collection made me a little confused. I know for sure I hated half of it. The footwear is ridiculous I don't understand. What's with those leather metallic socks? I love the makeup, though. The bare face, the bright bold lip with tiny accent on the cupid's bow, the choppy baby bangs. Anyway, here are some backstage shots which I think are visually appealing by nature. 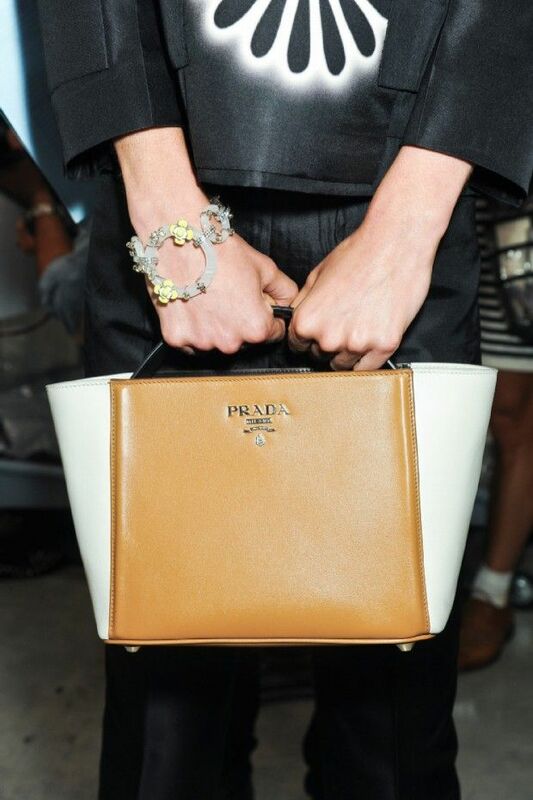 The bag looks like a mixture between Céline and The Row, with a final Prada touch. 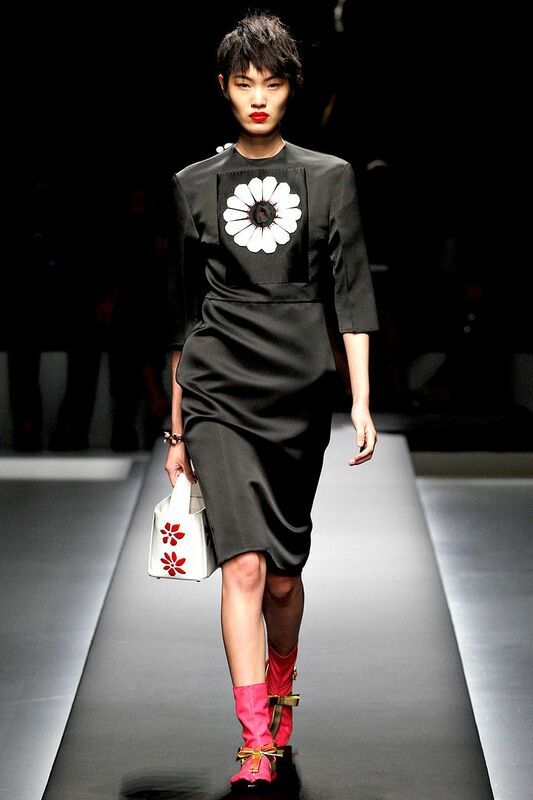 I must say that those sunglasses with flowers are what I love most from the collection. Anyway, I honestly want to hear your thoughts on this. What's with the socks? And the shoes? Oh my......... but i love the flowers! I think the shoes will look better without those ugly socks! The leather socks is a meh, but it's something really fresh, the infusion of japanese elements are brilliantly done, but.. it can be so called 'hard to sell' collection. 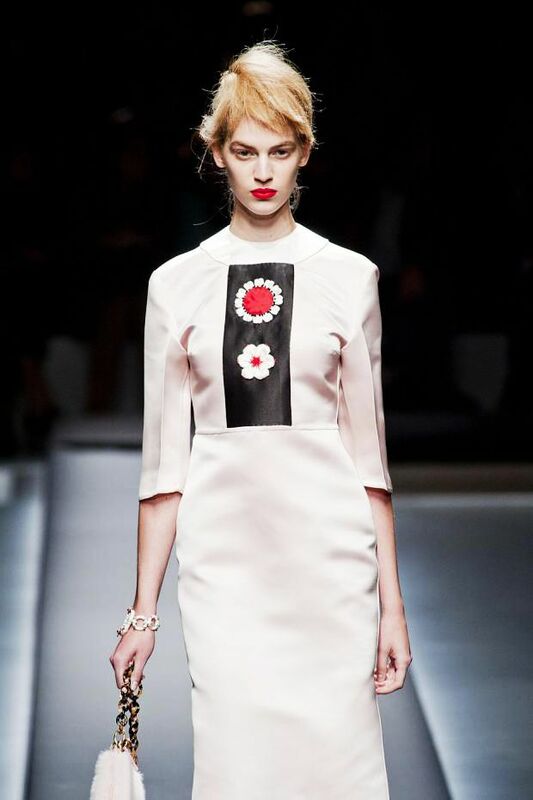 btw, loving the satin flower stitching and panel dress, cute! The shoes and socks remind me of the Japanese "tabi" and "geta". They are usually worn with traditional kimono. I think they'd pair well with a full kimono outfit but not as much with conventional styling. the bag should be the next "it bag"! not prada's best season.. i hate the shoes as well.. I thought that the whole collection was too toy-ish, not quite maintaining miucia prada's usual quirky, fun but sophisticated vibe..